Do not use this website or book the services we have to offer unless you have read these terms, and accept that they will govern your right to use and access our website and services, links and information contained on it. If you choose to use MethSolutions’ website and access meth sampling and testing services then MethSolutions will regard that use as conclusive evidence of your agreement and acceptance that these terms govern yours and MethSolutions’ rights and obligations to each other. MethSolutions reserves the right to change these terms and conditions of use at any time and those changes shall take effect in respect of all subsequent uses by you of the website. You should therefore check these terms every time before you agree to access and use the services made available on the website. Whilst the services made available through this website have been developed by experienced providers of environmental testing and property security services MethSolutions is not an environmental testing or registered security company. This website is not intended to provide you with definitive environmental testing or security services; it is intended to provide you with access to indicative, non-definitive testing services and relevant security services and information. We provide connection through to businesses experienced in their particular fields because we believe they offer high quality services. No warranty is made as to the quality of these services and individuals will need to satisfy themselves that these services are appropriate for their needs. It is an essential pre-condition to you using MethSolutions’ website and services that you agree and accept that MethSolutions and its network of trained samplers is not legally responsible for any loss or damage you might suffer related to your use of the site and the services MethSolutions provides access to, whether from errors or omissions in the services you receive or information or from any other use of the website. In short, your use of the site and the services provided is at your own risk. You bear the risk that the owner, owner’s agent, owner’s property manager or tenant refuses entry to the property that is to be tested. In the event access to a property for sampling purposes is denied, a maximum refund of 50% of the appropriate fees will be considered by MethSolutions and reimbursement will be at MethSolutions sole discretion. It is recommended that confirmation in writing that testing can be carried out, is sought from the owner, owner’s agent, owner’s property manager or tenant prior to booking the testing of a property through the MethSolutions website. MethSolutions will make every effort to deliver its indicative sampling service at rates noted on our website. Our ability to do so is dependent on having people trained to take samples operating in the area where samples need to be taken. In the event that this cannot be arranged, we will endeavour to provide you with the lowest possible cost alternative. However, the remote nature of many properties means that we may not be able to guarantee delivering our testing service at our minimum target price. Where payments have been received, but a test cannot be arranged at the above prices, then MethSolutions will be under no obligation to carry out the test and will return in full the payment it has received. 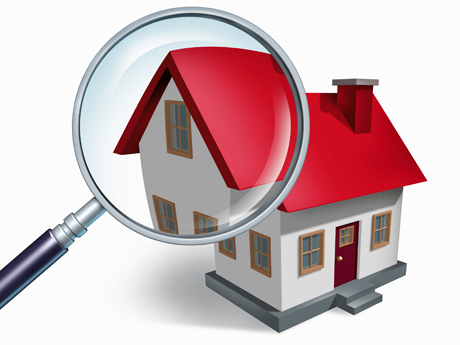 Costs are incurred in organising people to undertake testing of a property. Where cancellations occur, refunds will be made at the sole discretion of MethSolutions. A refund of up to 50% may be made where notice is provided with at least 1 working day’s notice of cancellation. No refund will be made will be made where cancellation occurs within 1 working day of the time set for sampling to occur. Once samples have been collected, and processing at the lab has begun, full costs apply. If we are able to halt processing of the samples at the lab, the cancellation fee will be $75+gst. MethSolutions will use its best endeavours to ensure that samples are taken from the property in question within 24 hours of the preferred time for testing you identify. Precise timing will be determined by ability to access the property and availability of people to take samples. MethSolutions provides training to individuals in how to take indicative samples for meth contamination of property. These samplers are not licensed environmental testing professionals. They are trained in sampling techniques designed to increase the likelihood that any contamination present in a property will be identified. However, no sampling technique or test can guarantee that contamination will be found as efforts may have been made to mask contamination or contamination may be present but below the surface. Understanding that these are the limitations of the service MethSolutions’ Sampler Network provides, you warrant that you will hold harmless MethSolutions and its Sampler Network from any loss, cost or expense, direct or indirect/consequential, that may arise as a result from meth contamination that is later found at a property from which samples have been taken but where no contamination was identified. Target time for the provision of results from tests is 2, 3, or 5 working days. The day on which samples are taken is officially day zero. No liability will attach to MethSolutions in the event that provision of results takes longer. You also agree that in the event the tests show meth present in the samples, MethSolutions may share these results with other stakeholders in the property. The MethSolutions indicative sampling service can be used as part of an ongoing MethManagement regime (Monitoring for manufacture and testing for use) for investment property, but cannot be used to prove that a property is fit for habitation or as a tool to determine whether or not efforts to clean a property have been successful, without prior approval of MethSolutions. Additional charges may apply. People using the MethSolutions indicative sampling service will provide MethSolutions, if requested to do so, with a copy of the results of and reports associated with detailed testing. These reports will not be disseminated to third parties. Their use will be to support ongoing discussions with MethSolutions clients and to allow MethSolutions to gather evidence which provides insights into the value the MethSolutions service creates. MethSolutions has provided on its website links to other websites and information on those websites for your convenience. This does not necessarily imply sponsorship, endorsement or approval or arrangement between MethSolutions and the owners of those websites. MethSolutions takes no responsibility for any of the content found on the linked websites. MethSolutions’ website may contain information provided by third parties. MethSolutions accepts no responsibility whatsoever for information or advice provided to you directly by third parties. To the fullest extent permitted by law, MethSolutions absolutely disclaims all warranties, expressed or implied, including, but not limited to, implied warranties of merchantability and fitness for any particular purpose. MethSolutions gives no warranty that the services made available through this website will categorically detect contamination that may be associated with meth being manufactured or used in the property in which the services are provided, or that MethSolutions’ website or its server is free of viruses or any other harmful components. MethSolutions does not warrant or make any representations regarding the use or the result of the use of any services, link or information in its website or as to their correctness, suitability, accuracy, reliability, or otherwise. It is your sole responsibility and not the responsibility of MethSolutions to bear any entire costs of servicing, repairs, or correction. Applicable law may not permit these exclusions, particularly the exclusions of some implied warranties. Some of the above may not apply to you. MethSolutions respects the privacy and confidentiality of the information provided by you and adheres to the national privacy principles established pursuant to the Privacy Act 1993. MethSolutions does not sell or deal in personal or customer information. MethSolutions may however use in a general sense without any reference to your name, your information to create marketing statistics, identify user demands and to assist it in meeting customer needs generally. MethSolutions may use the information that you provide to improve its website and its services. This agreement and this website are subject to the laws of New Zealand. If there is a dispute between you and MethSolutions that results in litigation then you submit to the jurisdiction of the courts of New Zealand. If you are in the business of environmental testing or provision of security services, whether they be business users or domestic users then you are a competitor of MethSolutions. MethSolutions expressly excludes and does not permit you to use or access its website, to access any property sampling services or information from its website or obtain any such services or information through a third party. If you breach this term then MethSolutions will hold you fully responsible for any loss that it might sustain and further holds you accountable for all profits that you might make from such unpermitted and improper use. MethSolutions reserves the right to exclude and not permit any person from using its website or any of the services provided through and/or information contained on it. MethSolutions expressly reserves all copyright in its website and in all documents and information on its website. You are not permitted to use any trademarks, trade names, graphics or designs that are on MethSolutions’ website. If you breach MethSolutions’ trademarks then MethSolutions reserve the right to take action against you. These terms and conditions represent the whole agreement between you and MethSolutions concerning your use and access to MethSolutions’ website and your use and access to the services made available through and information on it. No other term is to be included in this agreement except where it is required to be included by any legislation or law of New Zealand. All implied terms except those implied by statute and which cannot be expressly excluded are hereby expressly excluded. Where any clause or term above would by any applicable statute be illegal, void, or unenforceable then such a clause shall not apply and shall be deemed never to have been included in these terms and conditions. The deemed excision of any term pursuant to this paragraph shall not affect or modify the full enforceability and construction of the other clauses of these terms and conditions. Payment for services is due at the time the services are booked, unless prior arrangements have been made with MethSolutions. If the payment method for MethSolutions’ services is by credit or debit card and payment is not received by MethSolutions from the card issuer or its agents, you agree to pay all amounts due upon demand by MethSolutions including applicable administration charges.